Duunitori.fi is Finland’s biggest job searching engine and modern recruiting media in social media. It offers thorough and innovative solutions for successful recruiting. 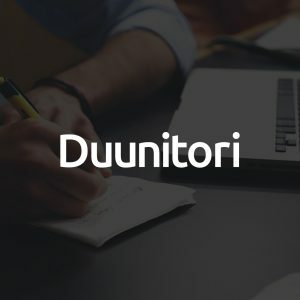 Duunitori.fi is a media that reaches future talents and people interested in the current trends of professional life efficiently through multiple channels. It has taken jobs where people spend there time. New approach to recruiting and job searching has created a platform for the largest job applicant network in social media. Duunitori.fi has 300 000 followers on Facebook, Twitter, LinkedIN, Instagram, WhatsApp, Snapchat and Google+. On weekly basis Duunitori.fi reaches up to million views in social media.